American Horror Story is a top rated show that focuses on different characters in various locations. The sinister episodes keep fans tuning in on the edge of their seats. The creep factor continues in the costumes that you can choose based on characters from the show. 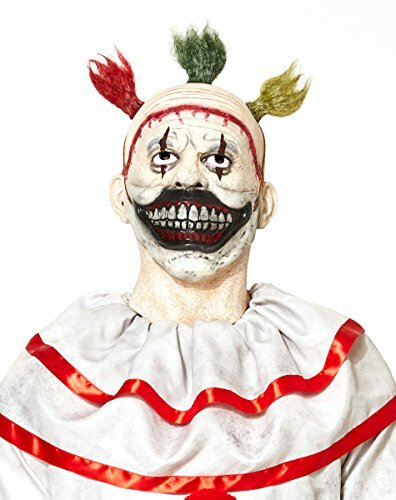 Twisty the Clown is one of the well known characters who has the ability to strike fear in the heart of anyone who sees his face. You can find some costumes based on his character that have the same attention grabbing, adrenaline pumping reaction as when he first appeared on screen. 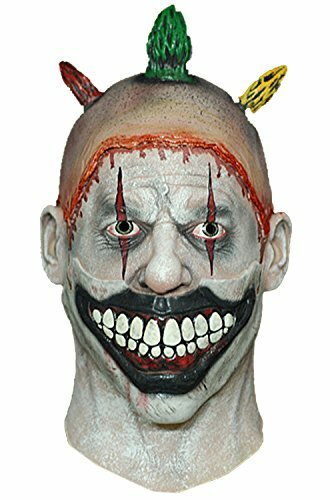 Some of these costumes come with a latex mask that’s such a replica of his face, you’ll easily win the scariest costume at any Halloween party if there’s such a category. Most of these costumes that have the masks feature his wild three tuffs of hair. Some fans think the two side tuffs are meant to resemble horns. 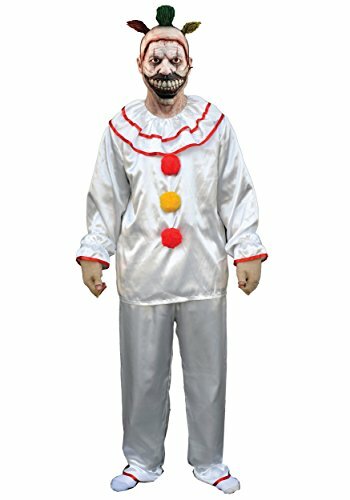 With some choices, all you get is the mask for the costume, but with others, you do have the entire clown outfit included. These are all usually white. The costume is mainly a pair of pants and a shirt with the colorful pom pom balls of three down the front of the shirt. You can find some of these costumes with gloves, but not all of them have those. The show also brought fans the character of Larry Harvey. When you look at him, it’s clear to see that his face has been burned. This character with his dark motives became one of the must see storylines. You can find some of the Larry Harvey costumes with the facial mask that shows the burns the character has. Some of these even have the same strange eyes that make the character stand out. 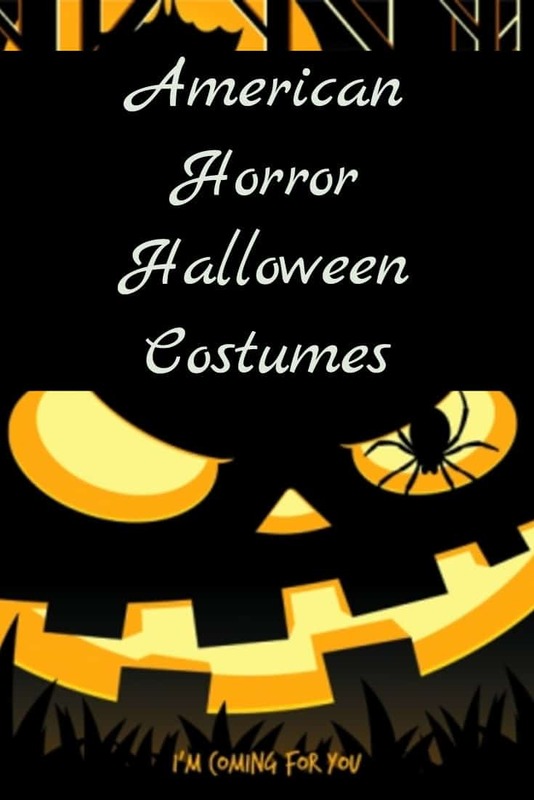 You can get his costumes in sizes that are suitable for adults or older teens. One of the other cool characters on the show is Pepper. This character struck a chord with fans for the ill way that she was treated due to her facial features. When the character was framed for a murder she didn’t commit and sent away, many fans hoped Pepper would find a better life than the one of ridicule she’d faced. You can dress as this intriguing character. Some of the costumes you can find based on Pepper will feature many of her well known facial features like the ones that show her protruding teeth that stick out from her wide gums. You’ll also notice the mask portion in some of the costumes features the characters’ bald head and small portion of hair. 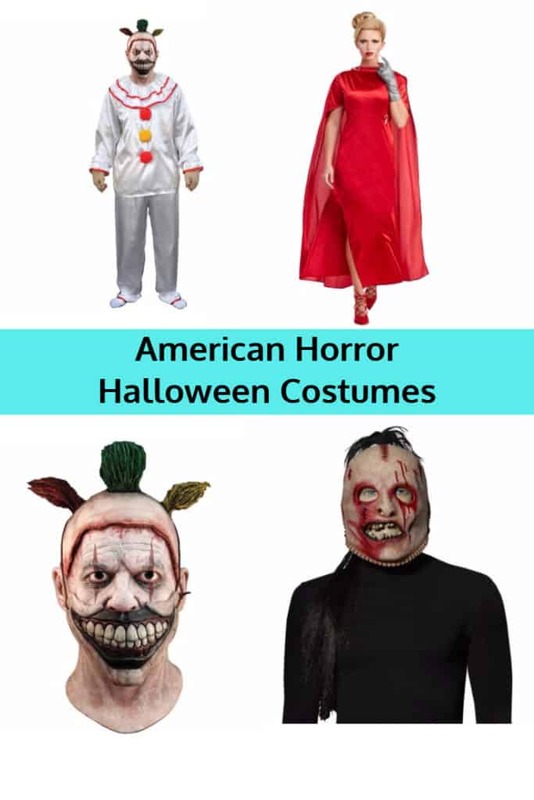 There are many American Horror costumes to choose from – just make sure you order online and early to get your favorite pick and size!